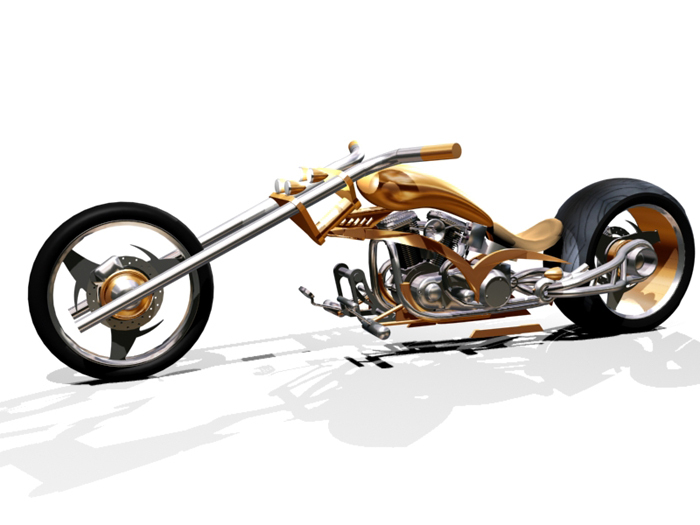 This Web site features designs created with 3DSmax software from Discreet. 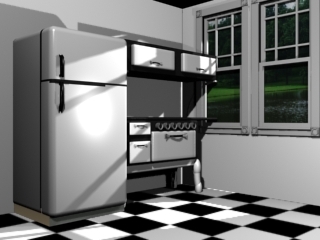 These virtual scenes showcase still images of a wide variety, including architecture, automobiles, motorcycles, furniture, and many other areas of design. Digital design and animation can be utilized in advertising, forensic animation, custom design work, commercial products, home design, virtual walk-through animations, and virtually anything you can conceive. The only limitations are your imagination and your skill level. I received my design and animation education from the University of Arkansas, Fort Smith. The educators at U.A.F.S. are dedicated to providing the highest quality of learning to all students. In the Digital Design and Animation option, part of the university's AutoCAD program, instructors Joe Liston, Suzanne Horne, Argie Nichols, Max Johnston and others (sorry if I left out your name) are highly professional. They insist on excellence in their methods of training, and consistently produce talented and imaginative graduates who are ready to enter the work force or to continue their education at another university or art design college. If you are interested in becoming a student at U.A. Fort Smith, call (479) 788-7000 and ask to speak to any of the educators mentioned above. If you are interested in procuring my design and/or animation expertise for a project, contact me via e-mail. My rates are more than reasonable, and my work speaks for itself. Digital design and animation can be used in motion pictures, television commercials, Internet applications, forensic animation (often used by attorneys to recreate automobile accidents, crime scenes, and personal injury cases), automotive, boat, motorcycle, bicycle design (or any other kind of design work), and in many other commercial uses. Turn on your television and do some channel surfing. You'll see digital design and animation in movies, TV series, and commercials. Connect to the Internet and you'll see many other digital design applications. Other markets are being developed daily! Whether you're watching a movie, a TV show, or a commercial, what you see isn't always real - it is often computer-generated designs and animations that blend seamlessly with film or video projects. This combination of regular media and virtual media is called compositing, and in most cases the viewer never knows what is real and what is virtual - "practical" special effects, props and scenes are combined with "virtual" computerized output. The quality of digital design and animation continues to improve, and the applications for computer design and animation expands on a daily basis. The bike above was inspired by "Amen Chassis Works" ( http://amenmotorcycles.com) PLEASE SIGN MY GUESTBOOK!